We are so excited 2011 is finally here. The team at www.dotbox.com has been working so hard to get the site up — and are so close. Before the end of January, we will be launching. Enter your email address at www.recrib.com to be notified of our launch. are hands down by our friends over at DwellStudio. 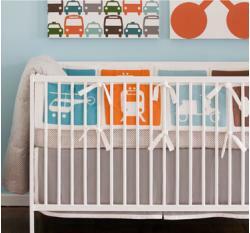 So…after you save money buying your dream crib on www.recrib.com, head to www.dwellstudio.com and put the money you saved towards sheets that will help your kids dream. What to do with your used kids gear? When our kids turn three, we are all faced with the challenge of figuring out what to do with the gear our kids no longer need — e.g. cribs, strollers, highchairs… In about a month, this challenge will no longer exist. 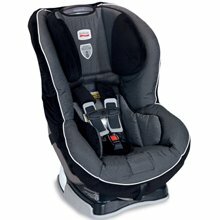 Towards the end of January, reCrib.com will be the place to go to sell (and purchase) the best gently used kids gear. To be notified when we launch, please go to www.recrib.com and enter your email address. Today we have a gently used Britax car seat, that is listed as “almost new”. Do you or anyone you know need this Rolls Royce of car seats? Hurry — it won’t be on reCrib for long.